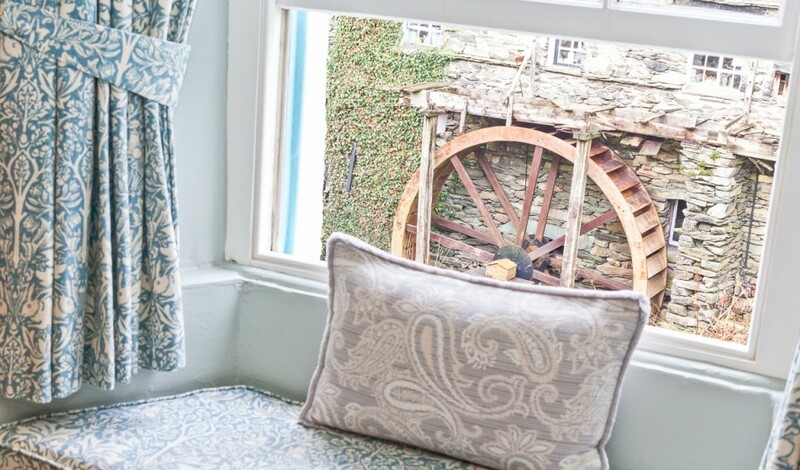 Visitors have long been enchanted with the picturesque setting in which the whitewashed Waterwheel cottage nestles in the heart of Ambleside. This luxury Ambleside B&B, now a Grade II listed building, sits on an ancient cobbled street overlooking the tumbling waters of Stockghyll. 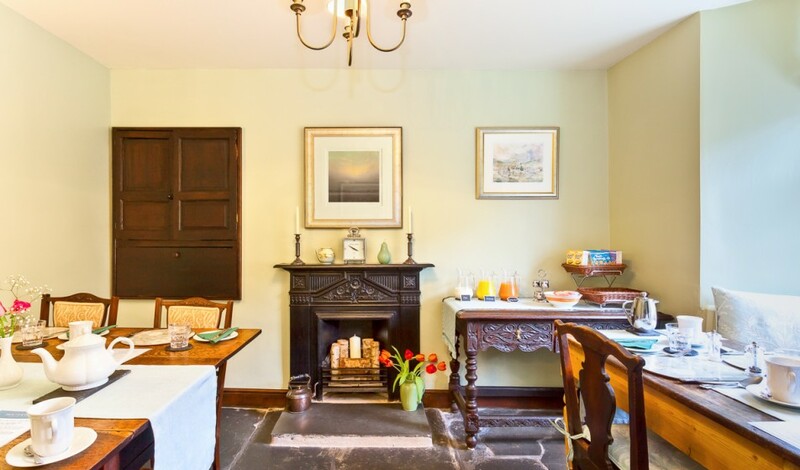 Our three hundred year old cottage provides a warm and welcoming atmosphere. There are just three guest rooms at this luxury Ambleside B&B, all with full bathrooms, two of which include Victorian-style clawfoot bathtubs. The Waterwheel Bed and Breakfast in Ambleside, set in the Heart of the Lake District is a small, luxury guest house, perfect for a short break or a longer stay in the Lake District. If you’re looking for a warm and friendly Ambleside B&B, we welcome you to take a look at what we have on offer. 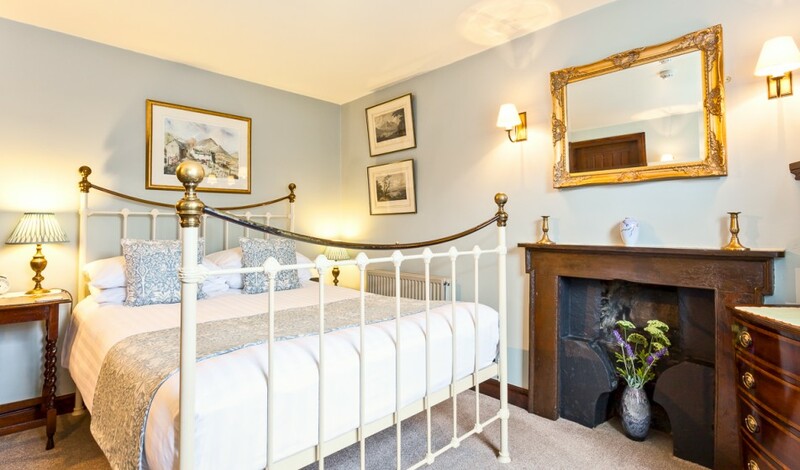 Our enchanting bed and breakfast in Ambleside has three beautifully furnished bedrooms, each with its own bathroom; perfect for a luxury or romantic break in the Lakes. 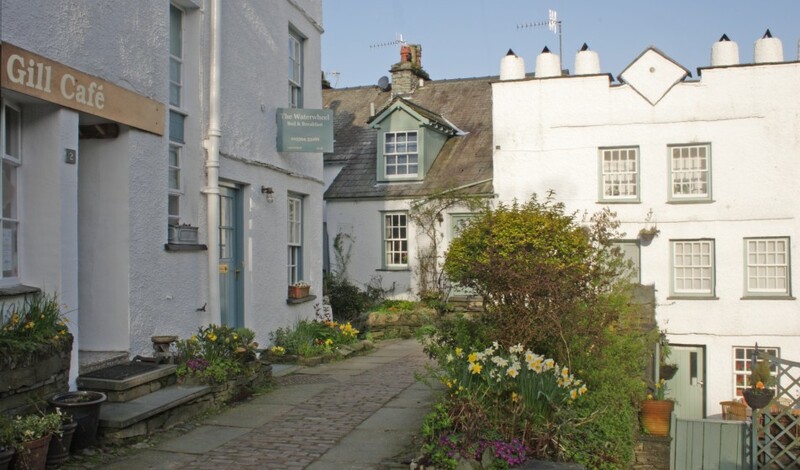 Set in one of the most picturesque towns in the Lake District, The Waterwheel guest house in Ambleside is just a short walk from a great selection of shops and boutiques and also many restaurants and hostelries. Our affiliation with the Ambleside Salutation Spa provides an opportunity for you to relax in their outdoor spa pool, or maintain fitness levels in the indoor pool and gym. Warm yourself up, after a cold day in the fells, in the sauna and steam room – all within a few steps of the guest house! If you feel like venturing a little farther afield, the nearby Kirkstone Pass offers a spectacular drive to one of the highest points above the Lake District where the views over Windermere and the Lakes are truly stunning. Ambleside is also centrally placed if you would like to visit the historic market towns of Kendal or Keswick. A break in the Lake District at the Waterwheel Ambleside B&B offers many opportunities for those who enjoy outdoor pursuits. Windermere is just 5 minutes away and has opportunities for sailing and windsurfing and of course some wonderful walks along the shores of the great lake. For those who prefer more adventurous walking opportunities, Scaffel Pike and Striding Edge offer a challenge to even the most hardenend of walkers. We look forward to welcoming you to The Waterwheel Ambleside Guesthouse in the most beautiful corner of England. To select a room for your stay with us, please visit our online booking page. Why not combine your stay with a trip in our glamorous new camper van, Gloria!? Check out the details at www.amblesidecamperhire.co.uk. Privacy Statement: Data collected on our booking system will not be shared with 3rd parties, other than for the purpose of completing the booking and payment process. All data will be processed in line with UK data laws. Your email address may be used for marketing purposes, by the Waterwheel Guesthouse, unless you opt out during the booking process. Waterwheel Guesthouse is a trading name for P J Accommodations.